Ready in: 5-10 minutes, depending on your level of experience. A great blending brush for beginners up to professional makeup artists. Blends every shadow extremely well. A solid brush to start building your makeup kit- it will make your life easier! Perfect for those with hooded eyes, allows to buff crease up and out. Reading upon our previous posts, we mention great eyeshadows, both liquid and in pans. We'll venture into pigments and cream-powder shadows (hello Colorpop) and keep going from there. 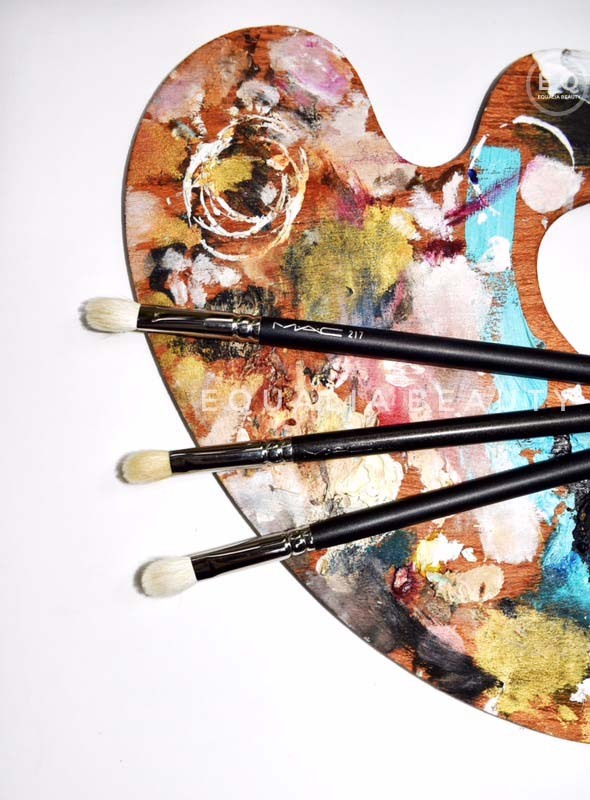 Though we must keep in mind the importance of good, well-performing brushes. Surely, we'll argue that when talented, even your finger can work wonders blending a pigment. However, in the case of a more detailed look, or if you are working your magic on a client's face, I doubt they'll appreciate your finger sticking in their eye. Therefore, we've decided to break down the logistics of a strong brush kit that'll simplify your life. First up? We present to you MAC's 217 blending brush. This brush and I, go a long way back. It was the first brush I purchased when I decided to seriously involve myself with make up. I knew I was in need of a brush that would blend my eyeshadow on the upper lid and close to the liner. I headed into a MAC store, bought it and never looked back (Excuse the drama, we're trying to have some fun on a Wednesday). This was over a decade ago. It's funny to know that this exact brush, after 10 freakin' years, is still one of the most popular MAC brushes. It holds its place in my kit working like a charm. While most blending brushes are fluffy, this one in particular is a perfect combination of fluffy and dense. When you take your time to blend with this brush, you'll start loving the results on your eye look. It has a comfortable grip; feeling like the extension of my hand. The tip of the brush has the perfect size, not too fluffy, not too small which makes it ideal to blend the product easily and without too much hustle, even if you're just starting out now with makeup. I went ahead and purchased four more to have as backups and when working on clients! As you understand, I haven't been able to find a dupe yet. During this search though I discovered many other blending brushes which we will discuss on upcoming articles. Lately, I've been hearing some buzz around the Sigma E25 ($16), reading articles where artists compare the two. I might have to purchase it, even though after ten years, I find it hard to believe another brush can dethrone my 217. When you clean this brush, reshape the tip with your fingers and lay it flat to air dry. Do not dry it with a hair dryer! 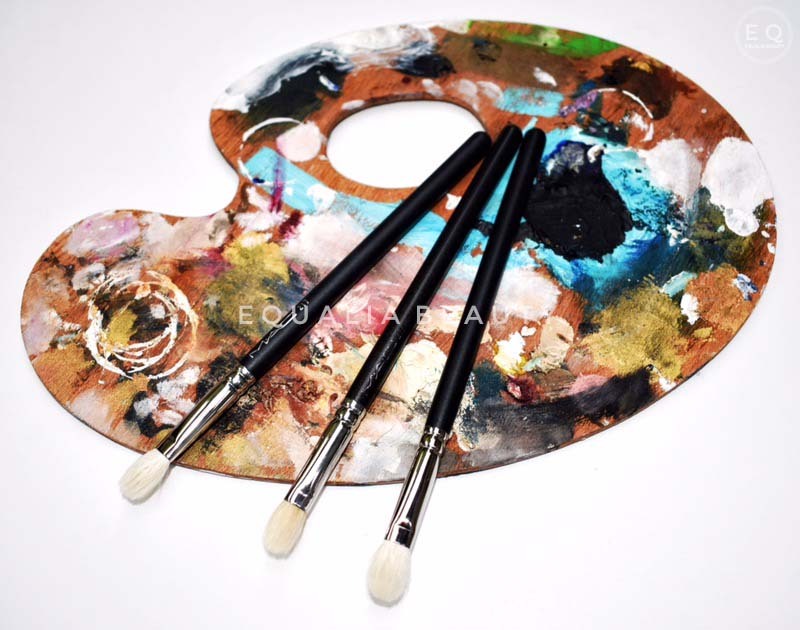 Taking proper care of your brushes, increases their lifespan-which justifies the price tag.